It's the first time a Pull List will feature a review of a comic the same day as it actually hits newstands. Or comic book stores. Or wherever you happen to buy comic books. If you buy physical comic books and don't just read them online. Anyway, that comic book is Batman/Teenage Mutant Ninja Turtles #1. So that's exciting! And then we have some more Squirrel Girl comics, which would be a bit more exciting if they also came out today (which they didn't) and I also hadn't featured Squirrel Girl in the last two Pull Lists (which I did). Oh, well, reviews after the break! I've probably made it fairly clear in past Pull Lists, but just in case I haven't, Squirrel Girl is my favorite superhero. 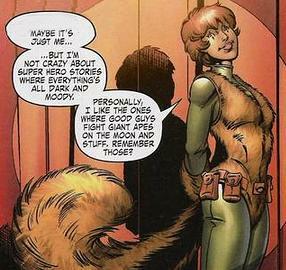 For those of you unfamiliar with the character, Doreen Green is a Marvel mutant with the ability to talk to squirrels, as well as squirrel like agility, plus a squirrel tail. 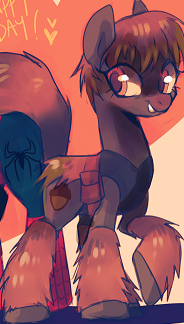 Together with her squirrel sidekick, Tippy Toe, she fights crime as Squirrel Girl. Very well. 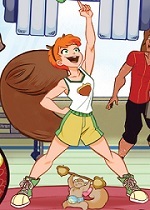 At risk of sounding like a hipster, I liked Squirrel Girl before Squirrel Girl was cool. Of course, Squirrel Girl is cool because she is not cool (which also sounds super hipster-y), but my love for the character is not ironic. I like her because she is a genuine superhero; she both has superpowers and acts heroically, but more importantly, she also likes being a superhero. She has fun being a superhero. If she doesn't take, say, an encounter with Doctor Doom seriously, it's not because she herself sees the ridiculousness of the situation. She doesn't see fights with supervillains as something to worry about; she's a superhero. She is supposed to fight supervillains; and she wants to fight supervillains. On a meta-level (and though she doesn't quite go to, say, Deadpool's textual awareness level, like most "humorous" Marvel characters, she has her medium aware moments), she believes that she will win any fight with a supervillain because she is a superhero, and superheroes always win in the superhero stories she reads; therefore, by choosing to be a superhero, she chooses to win. 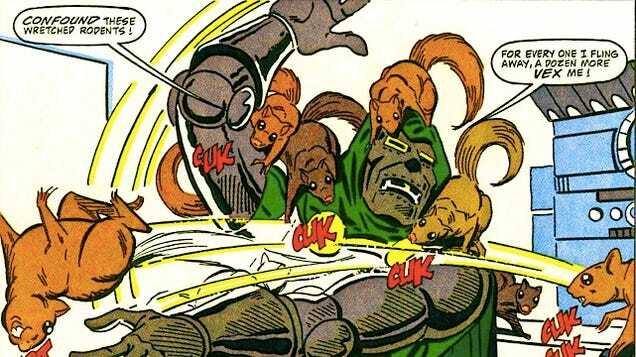 It is not "realistic" that she should, say, beat Doctor Doom with squirrels, but, seeing as how she isn't real, reality does not concern her. This is why she is such a divisive character; a certain sort of comic book fan believes that comic book superheroes can only be taken seriously if it is presented "realistically." 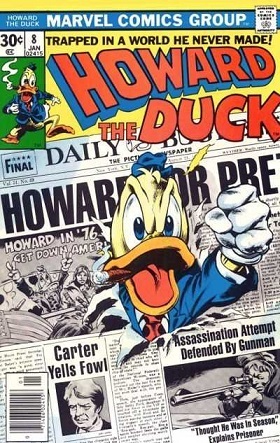 This viewpoint has been the default comic book fan view for decades now, to the point where a character who regularly and unequivocally wins fights with supervillains, and doesn't angst about it, stands out like a sore thumb, and is therefore a breath of fresh air, especially if your personal preference (like mine) is Guardians of the Galaxy over Watchmen. This is not to say a comic book that deals with the consequences of superheroics is bad; it's to say that a comic book that deals with the consequences of superheroics isn't automatically good. And comic books that don't aren't automatically bad. Or for that matter, that "realism" and "explores consequences" are mutually exclusive. 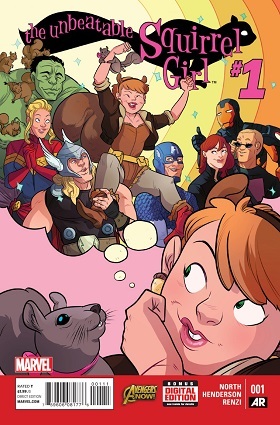 So, anyway, Squirrel Girl has her own comic book now, and it's awesome. Here's a review of the first three issues. 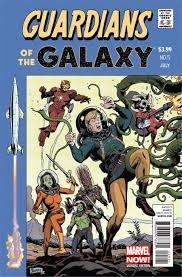 At this point, I’m a bit behind of recent comic books, but I’m trying to get caught back up to recent times while bringing our readers reviews of every issue of Guardians of the Galaxy, Teenage Mutant Ninja Turtles, My Little Pony: Friendship is Magic and a few even newer series we’ll be getting to eventually. 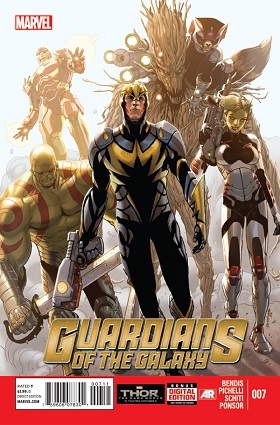 But for now, we’ve got Guardians of the Galaxy, plus I finish up the final couple of TMNT villains issues. Another day, another Pull List. Today, we’ve got some IDW titles, including issues from two very different Micro-Series. One is from the My Little Pony Micro-Series, which features cute adventures, and another is from the Teenage Mutant Ninja Turtles: Villains Micro-Series. It doesn’t feature cute adventures. Like I recently went with a triple feature for My Little Pony, I decided to do a pure Marvel comics Pull List. Why should IDW get all the fun? So we’re going to pretend like this is a special Marvel edition, okay? Anyway, until Beast uses bikini wax, make mine Marvel! I’m sorry, was that weird? I read that somewhere. We get a breather issue after the horrific events of issues #9 and #10, in which we had two deaths in two issues; Juston in #9 (nooooo!) and Nico in #10 (did not see that one coming). 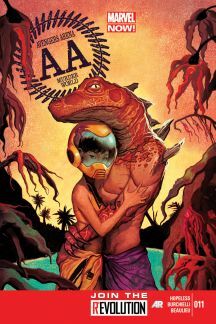 Instead of dealing with the still rampaging Apex, we catch up with Avengers Academy alumni Hazmat and Reptil, who are hanging out on a beach while the rest of the cast are running for their lives from a crazy girl who occasionally turns into her nice twin brother (it’s complicated). It’s another IDW sweep, with two Micro-Series issues (Pinkie Pie and Old Hob are featured this time around), and another Teenage Mutant Ninja Turtles issue. 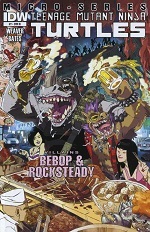 Ben Bates returns; he’s the artist behind the aforementioned Pinkie Pie story, despite the fact that I pointed him out as a positive in earlier issue of TMNT. 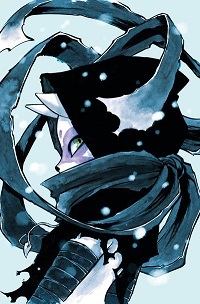 His art, however, makes a cameo in the TMNT issue; but more on that when we get to it. First, let’s see what Pinkie Pie’s up to, shall we? Normally I finish with whatever art comments I make (and I usually don’t make a lot of those), but since I’ve already talked about the artist, I might as well start there this time around. Bates is right at home in funny animal comics; besides TMNT, he’s also done Sonic the Hedgehog. Here, he’s a bit tied down by the fact that Pinkie Pie has to look like Pinkie Pie, after all; his backgrounds are also a bit simplistic, and could use more detail. The story revolves around Pinkie Pie winning a contest by drinking 315 bottle of Colta Cola (no wonder she’s always wiggling around like she’s in desperate need of a bathroom on the show) to win a ticket with backstage passes to the great clown Ponyacci’s show. It turns out, however, Ponyacci is on the verge of retirement; Pinkie Pie is completely upset by this turn of events. 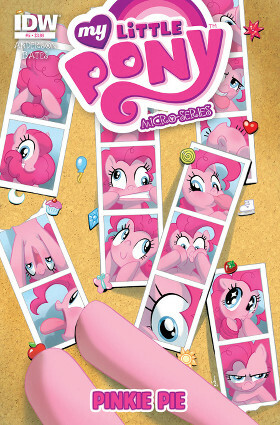 There are a couple of solid jokes in this issue; Pinkie talking to her Ponyacci doll is so in character, I can hear Andrea Libman’s voice while reading it. Twilight Sparkle plays straight mare for Pinkie; ironically, when Pinkie only wins two tickets, she doesn’t angst about it like Twilight does in a similar situation. Finally, it’s nice to see clowns and clown dolls played so straight (well, you know what I mean); we live in a world where vampires are protagonists for children’s cartoons, but there are not one, but two horror franchises based around killers who take the guise of dolls with playful catchphrases. Pinkie Pie knows what I’m talking about. Welcome back to another exciting issue of Pull List! This time, we’re starting off with a review of a comic with a raccoon wielding a sci-fi gun on the cover, followed by the beginning of the “Cityfall” arc in Teenage Mutant Ninja Turtles. Finally, I decided to revisit Wolverine and the X-Men because some furry things are happening in it, and also it’s a lot of fun. From a personal standpoint, the shipment of comic books I got from my supplier (long overdue shout-out to Wichita’s Prairie Dog Comics) that make up this Pull List and the next was a heck of a lot of fun; it may have been my favorite yet. 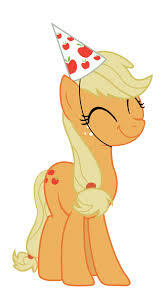 Some books, such as Avengers Arena, Guardians of the Galaxy, My Little Pony: Friendship is Magic and Teenage Mutant Ninja Turtles, I’ll be featuring. Others aren’t really furry enough, but I’ll just say X-Men Legacy and Young Avengers were pretty darn good this time around as well.